SOURCE Marketing is a great new way of creating a content marketing strategy, with an eye on brand awareness and customer engagement. Have you heard about content marketing? 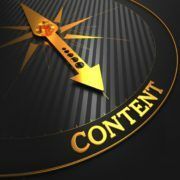 Content marketing provides meaningful, relevant content to your target audience in order to raise brand awareness. And, unlike advertising, in which you’re simply pitching a product or service, content marketing invites customer engagement. So how can you get started? Introducing our new content marketing system, SOURCE Marketing! SOURCE Marketing is a simple six-step method of getting your content marketing strategy off the ground. You can use it for web pages, blogs, landing pages, or wherever you connect and engage with your audience. Simple English: Keep the language simple. When you speak to your audience in a way they understand and can relate to, your message will reassure the customer that you understand their needs. Learn more about using Simple English. Opening Question or Statement: You need a powerful headline to draw people in. “Looking for a New Way to Increase Customer Traffic?” “Improve Search Results in 24 Hours!” “Stop Smoking in 7 Days!” Be exciting, enticing, and most of all, authentic. Unique Image: Your logo and headshot should be as unique as you are. But your page also needs an image which reflects and reinforces the page’s particular message. Use a sharp picture that demonstrates the benefits of working with you! Rationale: What are your customer’s pain points? In a few short paragraphs, provide the rationale as to what makes you the best choice to help, and list the benefits of using your service. For example, will hiring you increase website traffic, improve search results, or simply raise awareness about their business? Whatever the benefits are, list them! Call to Action (CTA): They’ve read your page. Now what do you want them to do? Signup for your newsletter? Download that eBook? Leave your site? Okay, definitely not that last one, but if you don’t have a strong CTA, that’s exactly what’s going to happen. Here are some tips to creating great CTAs. Endorsements: A must-have for landing pages, proven social evidence of your skills go a long way to demonstrating that you’re the best person for the job. One or two testimonials from clients will do, and provide a back link to their website or LinkedIn profile. Learn more about social evidence. Have questions about how we can help your web copy using SOURCE Marketing? Get in touch with us! Content Marketing Month: Are You Ready? May is Content Marketing Month. Have you checked your web content lately? Sometimes, we take our web content for granted. We publish some web pages and then move on to something else, leaving the website to take care of itself. But as your business evolves, changes inevitably happen. Shouldn’t your online content reflect those changes? With Content Marketing Month (#contentmarketingmonth) just around the corner, now’s the perfect time to revisit your web content, and make sure you’re getting the most out of your online investment. 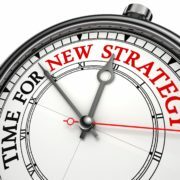 About Us Page: Anything new and exciting happening in your business? Is there a new philosophy you’d like to share? If your About Us page is more than a year or two old, it might be time to freshen it up. Your Changing Audience: Are you reaching a whole new audience than when you first started out? Consider using a new voice to reach those customers, while preserving your original message. Go Mobile: It’s also a great time to have a look at your mobile content. With the nicer weather, people are spending more time outdoors and relying on their mobile devices to stay connected. Is your website fully optimized for smartphones and tablets? Landing pages: Of course, these should be regularly monitored if you’re running a campaign. But if you’ve left them static for a while, consider changing things up a little. Even a minor tweak can bring in huge results! Keeping on top of your content will keep your messages looking fresh, improve search results, and increase reader loyalty and engagement. If you need help assessing your online content, why not contact us for a free content report? There’s no obligation, and you’ll be getting a professional second opinion on a crucial part of your content marketing setup. http://editorsdesk.net/wp-content/uploads/2016/10/Corporate_Storytelling-min.jpg 2800 2800 Richard Todd http://editorsdesk.net/wp-content/uploads/2017/06/the-editors-desk-logo.png Richard Todd2015-04-27 13:53:152017-06-10 19:30:44Content Marketing Month: Are You Ready? Entrepreneurship. So many people dream about it. The freedom to choose your own hours, the relief of not having a boss, and getting paid doing what you love to do the most. Yes, entrepreneurship is all that. And more. Much, much more. More than I’d ever realized. One year ago this month, we launched The Editor’s Desk as a full-service writing and editing business. Has it been a year of success and growth? Indeed. Has it been a year of mistakes? For sure. And have I learned from those mistakes? Without question. If you’re in the corporate world (like I was), you’ve probably become accustomed to doing your job and collecting your paycheque. No problem, right? And you might expect that running your business would be much along the same thing, except that get to keep 100% of the profits your business earns. As any entrepreneur will tell you, running a business not as easy as you might imagine. And as cognizant as I was of the challenges of entrepreneurship, I still thought that it would be easier than it turned out to be. Late nights with little time off, endless networking, constant marketing, and always chasing that next big contract. And that’s just scratching the surface. But would I have it any other way? Not on your life. So if you’re thinking of starting your own business, you might be interested in the top five things I learned about entrepreneurship. 1) Strategic partnerships are paramount. Entrepreneurs need other entrepreneurs to partner with. You don’t need to try and partner with everybody, stretching synergy until it nearly snaps. A handful of talented folks with whom you can trade referrals, work together to serve customers, and consult with to solve problems goes a long way to giving you the support you need for success. 2) Networking is essential. And how do you find the aforementioned strategic partners? By networking, of course. You can network anywhere, from within your personal social circle to an organized networking event. Most of them are attended by other entrepreneurs looking to do the exact thing you are: develop new business. Sometimes you need to think out of the box when finding places to network, even if it means speaking to people in line at the office supply store. Chances are, if they’re buying office supplies, they’re in business too! 3) The books contain your lifeblood. It goes without saying that cash flow is the lifeblood of your business. But for some new entrepreneurs, the thoughts of doing the books can be daunting (unless you’re a bookkeeper by trade). If hiring a bookkeeper isn’t in the budget right now, consider using an online tool like Freshbooks. If you can dedicate a certain time every week to update your records (say, Sunday night at 9 PM), it’s pretty easy to manage. But try to keep on top of it, or it’ll get ahead of you. I let it lag for several weeks once, and it took me hours upon hours to catch up. 4) Market, market, market! You can have the world’s greatest website, but if no one knows it’s there, what’s the point of having it? So how do people find out you’re open for business? Marketing, of course. From traditional media to digital channels, including social media, you need to get the word out. Networking is great, but you’ll only get in front of so many people at a time. With marketing, you’ll reach hundreds, or even thousands, all at once. 5) Above all, be authentic. Your marketing efforts need to reflect not only your business offerings, but also your core business values. And, chances are your core business values will also represent your personal values. So, you need to be authentic. You are your business. If people like and trust you, the better your chances of success. What did you learn in your first year of business? Let me know in the comments below!